Apple has been facing an uphill battle in recent years with keeping the iPad relevant amid increasingly varied and powerful iPhones. The iPad Pro was a step in a different direction, with more powerful internals and a stylus that just screamed for artists to pick it up and play. But it was also incredibly expensive, which could explain why Apple is aiming to launch a trio of new products in the line this year. 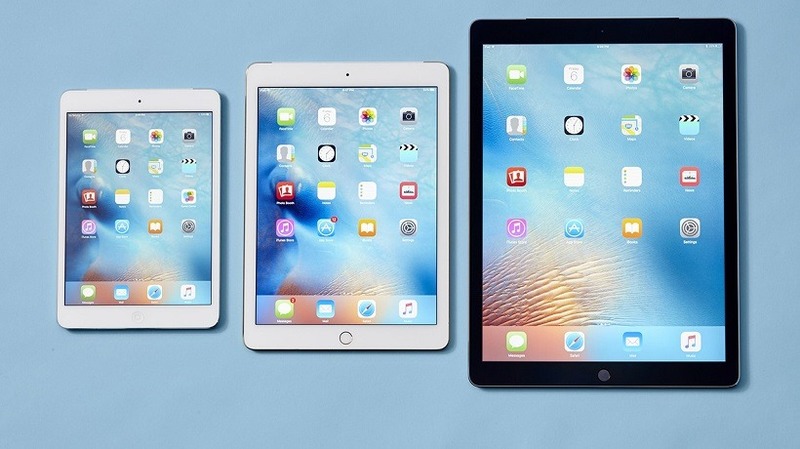 The three new iPads will come in three sizes: 9.7 inches, 10-10.5 inches and 12.9 inches. The 12.9-inch version will be a second generation iPad Pro, with a new A10X chip powering it. The 9.7 inch version will be a cheaper model, equipped with the A9 chip first found in the iPhone 6S back in 2015. Despite this, iPad sales will still drop this year. There’s no word then of a new iPad Mini, easily the most precariously placed product now that Apple has seen success in pushing out iPhones with larger and larger displays in recent years. The less powerful 9.7 inch model could bridge that gap a little, but it’s still evident that Apple doesn’t really know if these are even necessary anymore. Is there a reason consumers need a much larger version of an iPhone that boasts two-year old processing power? Perhaps not. An iPad Pro replacement, however, still brings viability to the market, especially for those enamoured with Apple’s new tablet that crave just a little more power. Whether these three models stand throughout the year until reveal is still up in the air, but for now Apple doesn’t seem intent on letting this line disappear just yet.